Email still rules when it comes to the most profitable marketing channels for small businesses. And no wonder. Next year it’s estimated the number of adult email users in the U.S. will exceed 203 million. That’s all the more reason to do some springtime seeding of your email list with the goals of harvesting new customers. 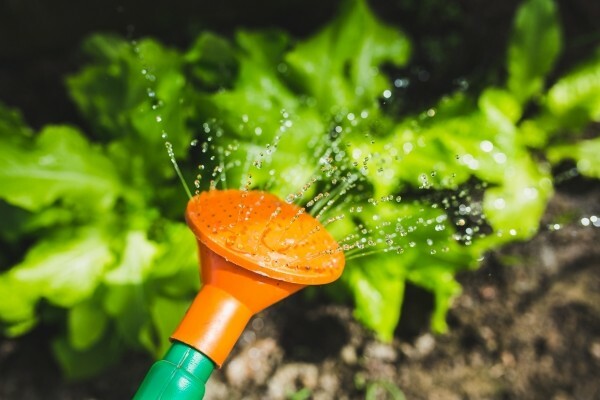 The best way to grow a garden is to group the same types of fruits and vegetables together, so you can give each group what it needs to be successful, whether that’s more sun or more shade, special food, physical space, fertilizers. Similarly, segmenting your email list into groups allows you to give your leads what they need to turn into high-quality customers. Why segment? You can answer that question with a quick peek into your own email inbox. It’s crowded in there, and every one of those emails is vying for your attention. Segmenting your email list gives you a better shot at overcoming the fierce competition happening in your subscriber’s inbox. There’s also data. According to eMarketer 39% of marketers that practice list segmentation see better open rates and 28% see lower opt-out and unsubscribe rates. Nearly a quarter see better email deliverability, increased sales leads and higher revenue. When it comes to segmenting your email list, the criteria that can be used is seemingly endless—demographics, psychographics, behavior, preferences, and more. But no matter how you divide things up the goal, ultimately, is to make a better match between your email campaigns and your subscribers. Of course even if you have the most sophisticated segmentation, execution is just as critical; all that targeting won’t make a difference if the message isn’t right, so make sure the emails you send are both sharply written and fit the targeted group. One group might be at a certain place in your sales cycle and the right email can nudge them to make a purchase, but an email to a different segment might be nurturing, appealing to their future wants and needs. Whatever demographic information you can collect could serve as a segment, whether that’s gender, age, education level, income, marital status, occupation, religion and more. Any measurable characteristic of a population is a demographic and depending on your objective, using one or several together can be very effective. For instance, if you sell a product for families with young children, it may make sense to focus on the under-40 set, or the under-40 female set. On the other hand, with a different message you could focus on the over 65 set—grandparents wanting to buy something for their new grandchild. If you sell high-end accessories for sports cars, however, it probably makes sense to segment using several criteria, for example gender, income and age. Here’s the part where you get inside your target customer’s head. Psychographics look at characteristics that are harder to measure, like lifestyle and personality, and includes a person’s attitudes, aspirations, interests and opinions. If demographics explain who your customers is, then psychographics explain why. This is helpful when targeting potential customers based on how they see themselves and how they want others to see them. If, for instance, you sell an all-natural, low-sugar granola and are targeting parents, you can parse those that shop at organic food stores or recently bought an electric car, as they likely see themselves as the kinds of parents that would feed their children all-natural, organic, low-sugar snacks like your granola. This is important if you’re a brick-and-mortar business, because you don’t want to send in-store offers to those living outside the area. And if your business has several locations in different areas, segmenting by zip code ensures you’re not incentivizing customers to visit locations that are further from them, and that they are less likely to patronize. This is especially important if your sales are B2B. If your potential customer has a long sales cycle and a large, bureaucratic organization, you’ll need to target them differently than, say, a solopreneur who makes the purchasing decisions. Managers have very different perspectives than senior executives and each has their own concerns that need addressing. Segmenting by job title or function will help you gear emails to the right person at the right time in the sales process. Market research has shown that at least half of shopping carts are abandoned before a purchase is made. That means a potential buyer was very interested and then suddenly—not. You can target this group with incentives like discounts and special sales. Customers that purchase regularly or refer others to your business should be nurtured and appreciated. They are your best brand advocates. Target them with referral discounts, exclusive offers, loyalty programs and make them part of a select group you tap into for opinions about new products or services you want to roll out. Spring is the perfect time to take a look at your email list and refresh its segmentation. Targeting that way is one of the most effective strategies for boosting the effectiveness of your email marketing. You’re planting and fertilizing email seeds that will grow into customers and keep your small business growing too.